The musical “Hamilton” won the Pulitzer Prize drama award on Monday. CBS News reports that Treasury Secretary Jack Lew may be announcing this week that the Treasury Department “may end up adding a female face to the $20 bill, not the $10 bill.” The $20 bill features President Andrew Jackson while the $10 bill features Alexander Hamilton — the first Treasury Secretary. Horne is Moores Chair of History and African American Studies at the University of Houston. His books include The Counter-Revolution of 1776: Slave Resistance and the Origins of the United States of America. He recently appeared on The Real News segment “Black Voters and the New York Primary,” and discusses the musical “Hamilton” near the 20 minute mark. He said today: “The U.S., as an artificially constructed former settler state, has a problem of unity — not least of all with its African American population. Many nations have to construct a mythology to achieve unity. “The U.S. myth of the Founding Fathers has revolved around Washington and Jefferson, but both have been scrutinized. Alexander Hamilton is now in effect being put forward, but he was the captain of the one percent — he represented the interests of big finance at the beginning of the United States. He personified the grievances that continue, and that the Sanders campaign and — to a degree the Trump campaign — have objected to. “So, if you have a multiracial, hip hop cast in this musical, you pretend we’re achieving national unity. The actual historical record is so very different. 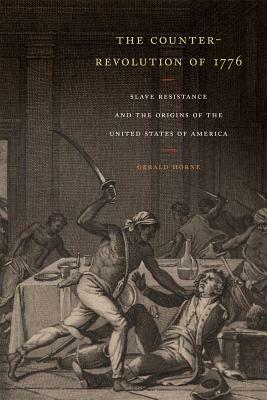 Britain was moving toward abolition, so in 1776, the slave owners rebelled. That’s in large part the origin of the United States. “In terms of Alexander Hamilton the man, he migrated to the mainland from the Caribbean as the enslaved Africans became more rebellious. The elite whites could no longer control the situation though the region had been considered the crown jewel of the British empire in this hemisphere. His coming to what became the U.S. was actually an example of what we’d call white flight. See “A Winning Democratic Strategy From People Who Hate Democrats,” about then-Senator Barack Obama speaking at the launching of the Hamilton Project in 2006 — a project of the Brookings Institution co-chaired by Robert E. Rubin, who Obama makes reference to in his remarks, video here. The piece notes that Hamilton, the founder of the Federalist Party, was the great rival of Thomas Jefferson, the founder of the Democratic Party.